FRANKLIN COUNTY, Fla. -- One man is dead and two others are critically injured after a shooting at a "Rainbow Family of Living Light" gathering in Florida, reports CBS affiliate WCTV. 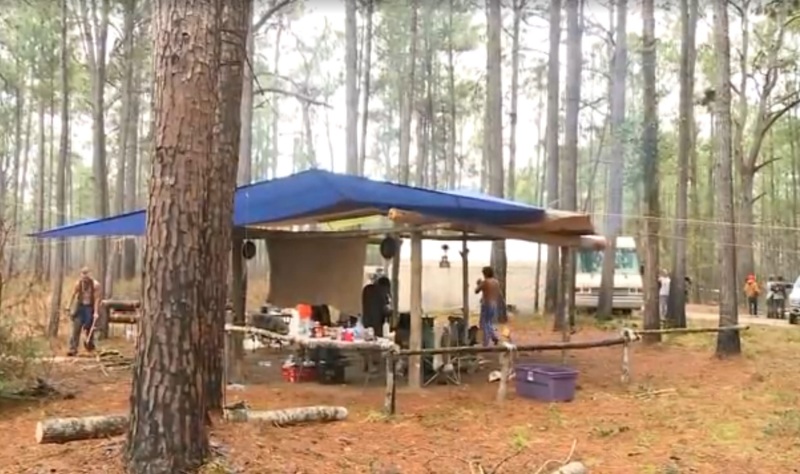 Police were called around 2:30 a.m. Thursday to the Apalachicola National Forest, where the pacifist group was assembled for an annual gathering. Deputies say they found a man dead from a gunshot wound. Another man was shot multiple times, and a third man, believed to be the suspect, suffered several stab wounds. The two survivors remain in critical condition at a Tallahassee hospital. Witnesses say the suspect had been driving a truck down a dirt path before the incident, firing a gun out the vehicle's window. Police recovered the gun, according to a witness. The suspect's and victims' names have not been released.